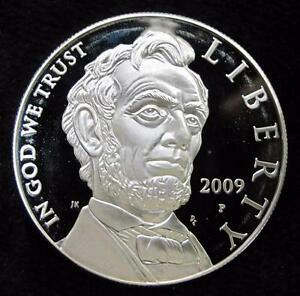 The obverse (heads) of the 2009 Abraham Lincoln Commemorative Silver Dollar features an image of President Lincoln with the inscriptions LIBERTY, IN GOD WE TRUST and 2009, designed by United States Mint Artistic Infusion Program Master Designer Justin Kunz and sculpted by United States Mint Sculptor-Engraver Don Everhart. 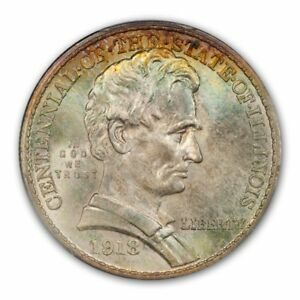 The image is symbolic of Lincoln's strength and resolve, and was inspired by Daniel Chester French's famous sculpture of the President that sits inside the Lincoln Memorial in Washington. 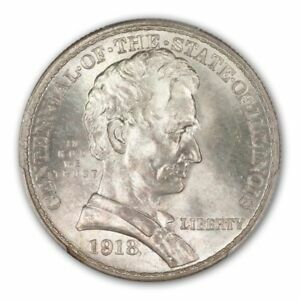 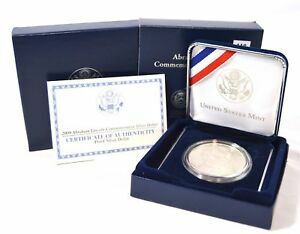 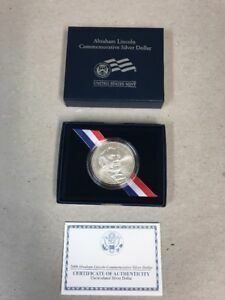 Surcharges from sales of the Abraham Lincoln Commemorative Silver Dollar are authorized to be paid to the Abraham Lincoln Bicentennial Commission to further its work in planning the celebration of Lincoln's bicentennial and the continued study of his life. 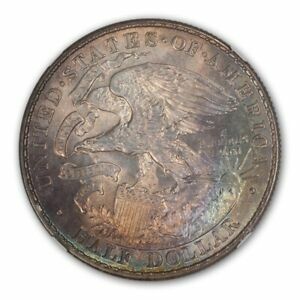 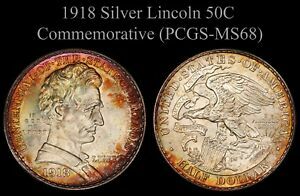 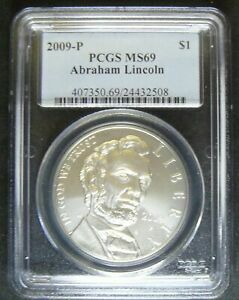 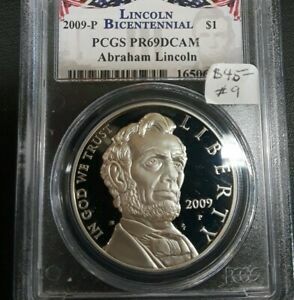 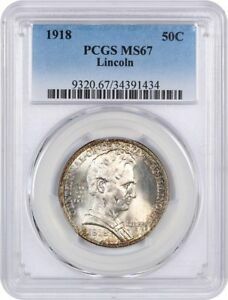 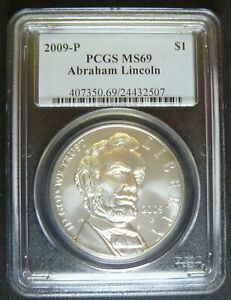 2009 P $1 LINCOLN SILVER COMMEMORATIVE DOLLAR PCGS MS69; FREE S&H . 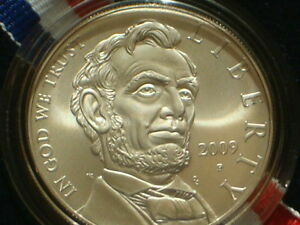 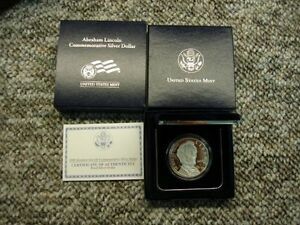 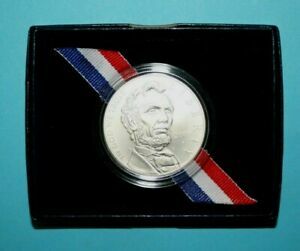 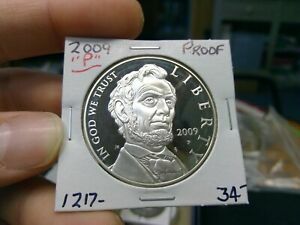 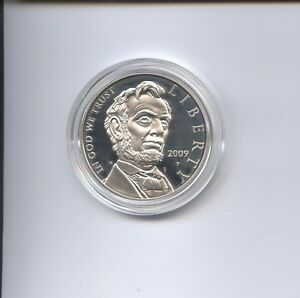 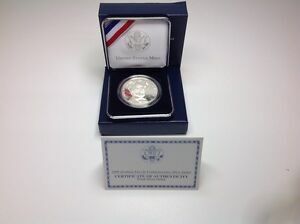 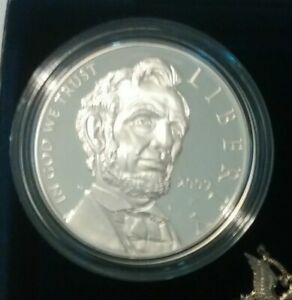 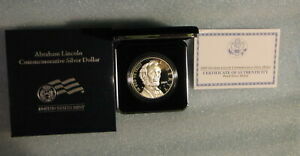 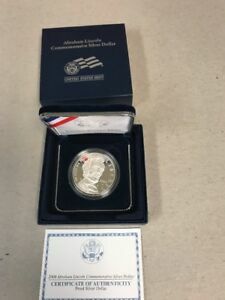 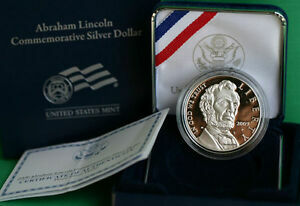 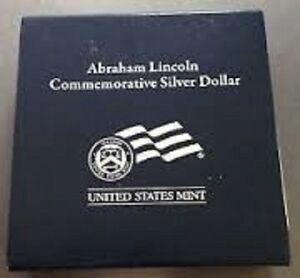 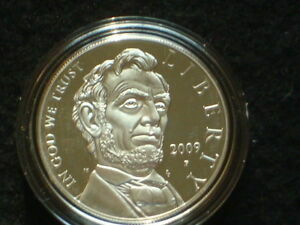 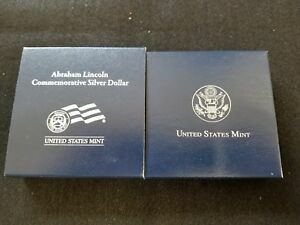 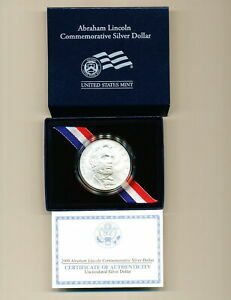 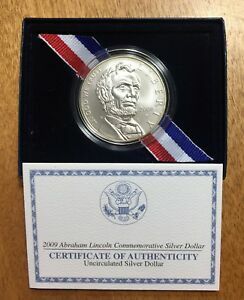 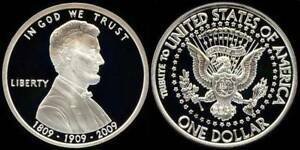 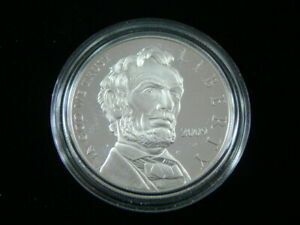 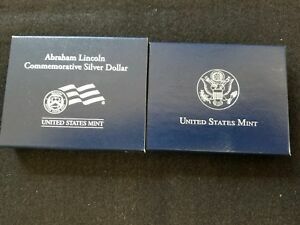 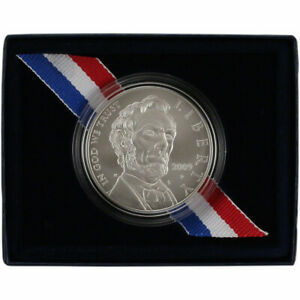 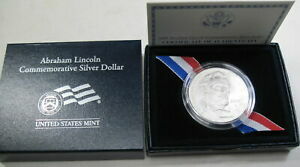 2009 ABRAHAM LINCOLN PROOF SILVER DOLLAR NICE/ORIG.